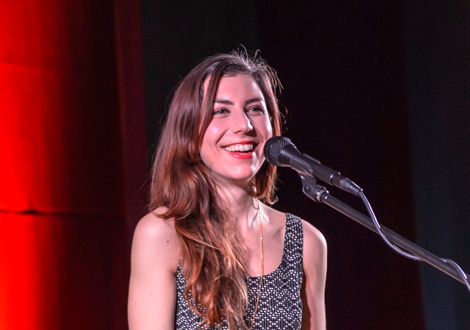 Julia Holter hit Leaf with her beautiful songs and stunning voice, Getintothis’ Alan O’Hare found a seasoned performer undeterred by early sound problems. 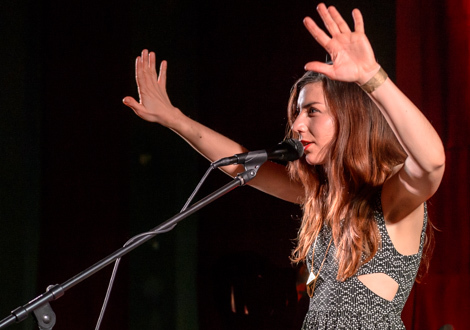 Leaf seemed the ideal venue for Julia Holter’s ethereal and atmospheric music. The lighting is perfect, the ambience suits and the seated audience are happy to be rapt all night. The only problem last weekend was the sound. Is it just us? 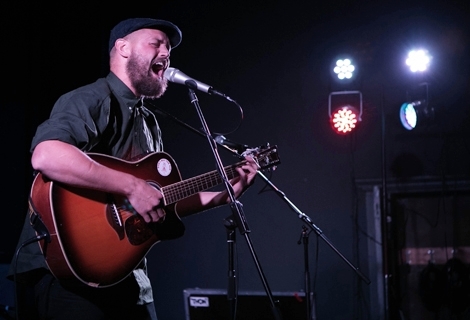 The popular Bold Street room is the city’s premier musical haunt, but, just lately, the sound has been indifferent at best. Fine artists like The City Walls, Deptford Goth and Sugarmen for example, have struggled to get any bottom end clarity heard in a packed room recently and it’s a cause for concern. Thoughts? Last Friday night was different proposition. The turnout was healthy, ears were more attentive and the dynamics of the bands were less metallic. But still something wasn’t right. Holter’s latest album, Loud City Song, is a real grower and full of interesting textures that need attention to be appreciated. Her five piece band concentrate on faithfully recreating those sounds, with saxophone, cello, violin, percussion and the lady herself on keyboards. For the most part, it works. But her already other-worldly, breathy vocals are struggling to come up for air above the wash of sound. The band doesn’t exactly make a racket, so it’s just not good enough that it’s such an effort to hear her perceptive and thought-provoking couplets clearly. 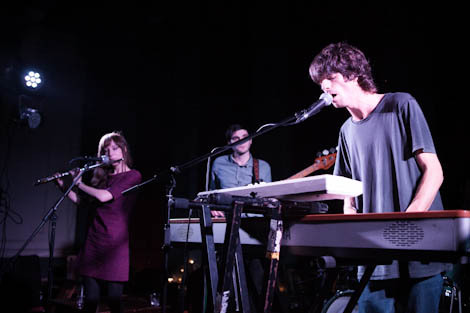 The music creates tension and touches upon jazz and classical influences, but Holter is an original talent. Sure, the melodies require nothing less than dedication from the listener, but the rewards are there (on record) for those prepared to take a journey with the Los Angeles songwriter. 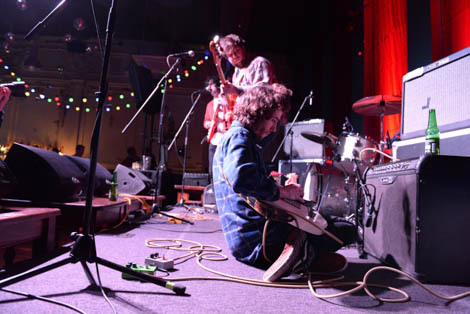 Tunes like In The Green Wild still manage to captivate the crowd and the gig is highlighted by the phenomenal musicianship on display. The band seems determined to stretch their instruments and create sounds that perhaps serve the atmosphere, rather than the song. The sax, for example, rarely sounds like a horn all night! No matter, Holter’s acolytes lap it up and the delicately crafted likes of In The Same Room and Goddess Eyes send everyone home happy. Get a copy of Loud City Song in your life soon, music like this needs to be heard without any distraction. 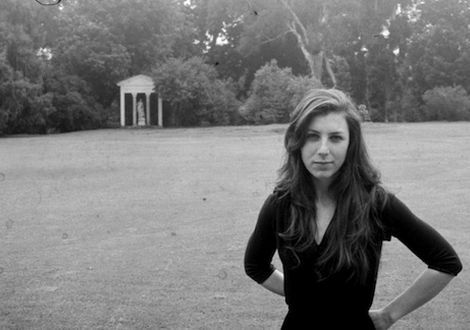 Julia Holter features in Getintothis’ albums of 2012.